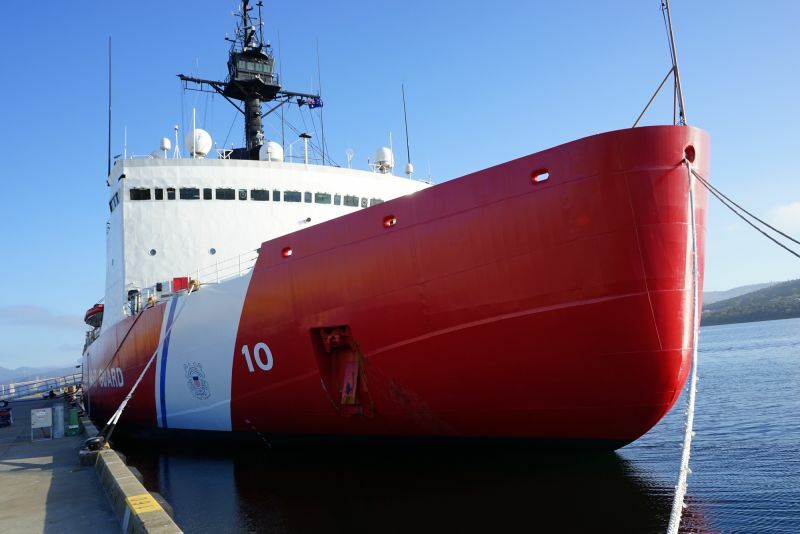 The first in a series of dispatches from freelance writer Brandon Reynolds aboard the USCG icebreaker Polar Star. 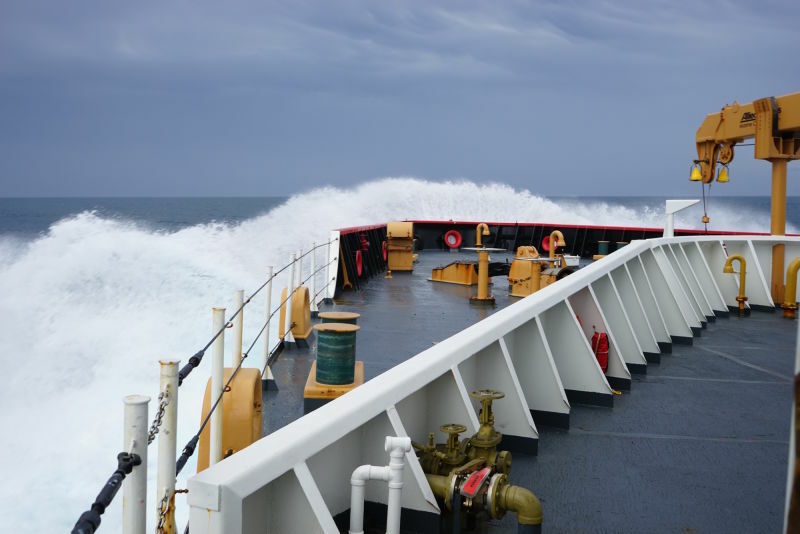 The ship entered the Antarctic Circle on January 3, on its annual resupply mission to the research base, McMurdo Station. It's a critical task imperiled by the nation's aging, shrinking fleet of ice-breaking ships. It's New Year's Eve, I'm pretty sure. Since I left the United States, I've leapt forward a day, landed in Hobart, Tasmania, ate wallaby tacos at a food festival beside the harbor, and set sail on a ship called Polar Star, heading south to Antarctica, but because the world is round, we're also heading east, toward South America. See for yourself. Don't look on a map, maps lie. Look on a globe. Anyway, soon after departure came an announcement that we were leaping another two hours forward, time zones be damned, to catch up to where we're heading. It's the law of the sea, I suppose. Somewhere out there is ice, which will look, I imagine, like nothing so much as nothing at all -- like the ocean doesn't end so much as is erased past a certain point. Which is what the ship is here to correct, to restore ocean to the nothingness. It's an icebreaker. On the other side of all that ice is Antarctica, where the clocks are set two hours ahead to McMurdo Standard Time, as, now, are ours. So I think it's New Year's Eve. Scheduled for later, I hear is a party out on the helipad, or the fantail, whatever the back end of the ship is. Fake champagne will be served and everyone will be caught wearing the exact same thing and no one will be scandalized by this. We're 21 hours ahead of the West Coast, so we're practically the first people in the world who will celebrate the new year, and so this, the uniforms and the pretending-at-booze, this is the future. This trip is called Operation Deep Freeze, this ship is called Polar Star. It belongs to the Coast Guard which means, essentially, it belongs to you, if you're American. (This will be important to keep in mind as we consider the looming costs associated with the mission.) Polar Star is a heavy icebreaker, as opposed to a light or medium icebreaker, which means it can go pretty much anywhere there's ice. 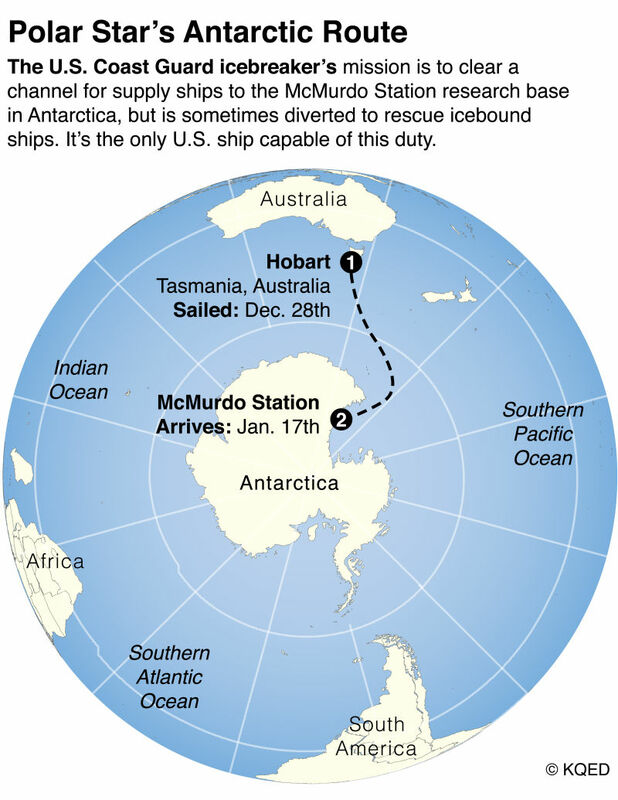 Its mission is to cut a channel in the ice off the Ross Ice Shelf, where is located McMurdo Station, a launching point for research on the continent. Polar Star opens the channel and then "grooms" it for supply ships. Polar Star is going to be 40 next year. That's old for a ship doing this kind of work. It was supposed to have been retired at 30, but the billion dollars to build a new one has not been forthcoming from Congress. Nor the hundred-plus million required to get Polar Sea, the Star's sister ship, back up and running. Right now she's in semi-permanent hibernation in a dry-dock somewhere in Portland. Polar Star cannibalizes Polar Sea for parts, like a twin devouring its mate in utero, which gosh is a lurid image, and I'm sorry. It's the vulgarity of the sea, I suppose. Right, so: what am I doing here. I'll be sailing with Polar Star and its 160 souls for the next two months, from Hobart to McMurdo, from McMurdo to Valparaiso, Chile. Here come stories about small-town kids embroiled in adventure, about the various species of seasickness (everyone suffers differently, together), about how the ship is slowly but surely, a circuit board here, a screw there, becoming a different ship, and about a small community as far away as you can possibly be and still be on Earth. They're going to a place whose importance in the future of the planet is a thing of some debate, climate-wise, and so the ship's importance is also a thing worth considering. There will be stories about Antarctica, too, we all hope, which is its own strange world of strong personalities, scientific endeavor, and (I have to assume) beards, all built upon the immortal ruins of older attempts at discovery. What else. Getting these dispatches out is its own saga, involving orbital satellites and obscure communications companies and the preciousness of bandwidth. But hopefully there will be some delightful melange of word/photo/audio/video, in descending order of probability. We are very far away, I must stress that. I fell asleep an hour before midnight because my head's still ascramble and every day further south, night grows shorter until it'll cease to be. I awoke to a shadowy sailor at the threshold, saying something about something I needed to see right away. What time is it, I asked, like that made any difference. Next: Mystery from the Sky!